Hello everyone, a quick share of a simple card, before I get busy with my work. My son has returned yesterday from New York, he was away for his school trip to the United Nations. with all of us coming back from our trips, there is so much laundry to be done. I just have a week to get all in place and start packing again for the spring break! Ok, I was inspired by the CASology cue to make this card. It is a simple one layer card. I used waffle flower stamps to make this. I started with stamping the tiny heart in distress ink - barn door, and sprayed some mist to make it look melted. I stamped a couple of times more after it was all dry. The stamped the sheep and the sentiment in black, and sponged the bottom with a light hand using green ink. That is all. I hope you like it. Love your fun, fabulous card. 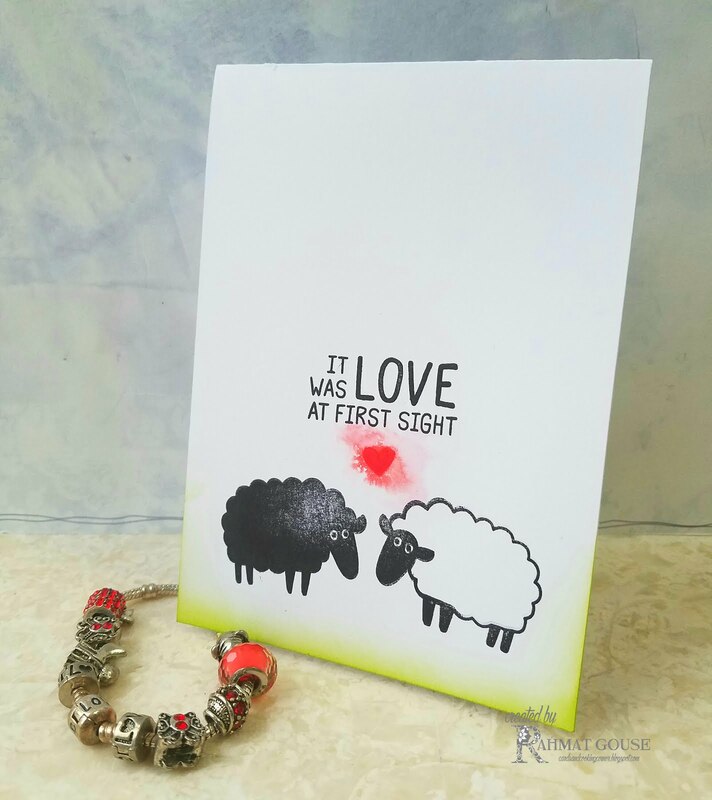 I love the sheep with the great pop of color with the red heart. TFS! Ah, it is cute! Love the look of the 'melting' heart. Great card, Rahmat! What a lovely card! I really like it CAS! Aaaw! What a sweet CAS project, Rahmat! The melting heart is just soooo romantic. Thanks for joining us at ATSM. I love your melted heart, Rahmat! 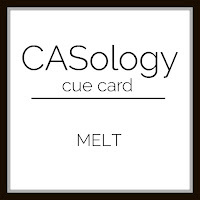 Thanks so much for playing along with CASology this week! Thank ewe for sharing such a fab card with us at HOC, love it! SO cute Rahmat!! Love that pop of red and subtle inking around the base of the card! Beautifully done! Hope all that laundry got done too! ;-) So glad you could join us at CASology this week! This is so sweet, Rahmat! 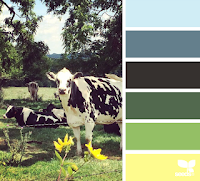 I love the contrast of the black & white sheep and the pop of color you added with the heart and grass!